As we’ve previously mentioned, it is entirely possible to send out a letter of demand by yourself without hiring a lawyer. In certain situations, perhaps you shouldn’t even be sending out a letter of demand at all. Still, there are certain advantages to hiring a lawyer to send out a letter of demand on your behalf. While the high prices some Singapore lawyers charge to send out a letter of demand can negate these advantages, there are a number of law firms that offer more competitive pricing in Singapore. 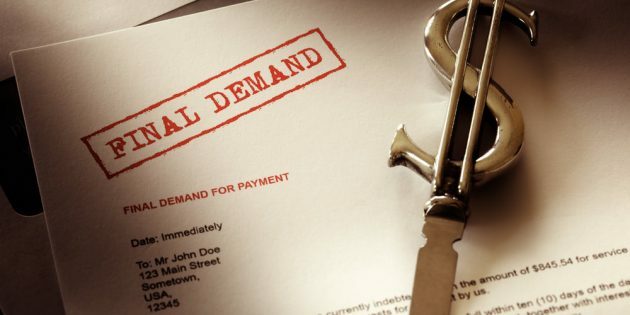 If you’ve come to the conclusion that you’re going to send out the letter of demand yourself (notwithstanding the advantages of hiring a lawyer), you should consider following some standard guidelines before sending it out. We have set out below a sample of a letter of demand that you can modify for your own purposes. On 11th November 2015, you entered into an agreement for rental of the premises situated at 123 Sample Street Singapore 678901 (the “Premises”) for the term of a period of 12 months. A copy of the Agreement is enclosed herewith as Annex 1. It has come to my attention in or about January 2016 that despite your acceptance of the terms and conditions of the Agreement, you have nevertheless breached the terms of the Agreement by not paying the monthly rental of S$1,000 (Singapore Dollars One Thousand dollars) on 1st January 2016. As a result of your breach of the terms and conditions of the contract, I have been deprived of my entitled remuneration and have thereby suffered loss and damage. (ii) you compensate me in the amount of S$XXXX (Singapore Dollars XXXX dollars) for the damages and costs suffered through your breach of contract. PLEASE TAKE NOTICE THAT you have seven (7) days from the date of this letter to confirm to us in writing that you will comply with the above demands. PLEASE TAKE FURTHER NOTICE that if you refuse to comply with or ignore the above demands, the offer above may be withdrawn and further action may be taken as deemed necessary to protect and enforce my rights without further notice to you and that you may be held liable for all attendant loss, damage and costs on an indemnity basis.